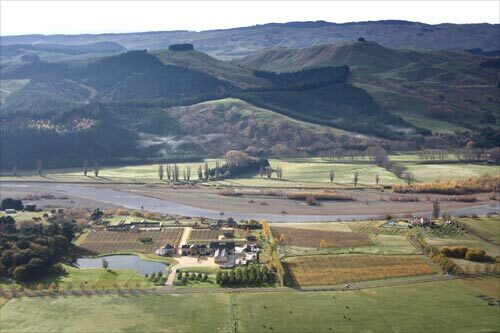 Craggy Range, on the banks of the Tukituki River near Te Mata Peak, is one of a new breed of wineries that do more than simply grow and make wine. Founded in 1997 by businessman Terry Peabody and master winemaker Steve Smith, Craggy Range sources grapes from throughout the country and markets its wine based on growing location and conditions (known in the trade by the French word ‘terroir’). It also has a fine restaurant and luxury accommodation.